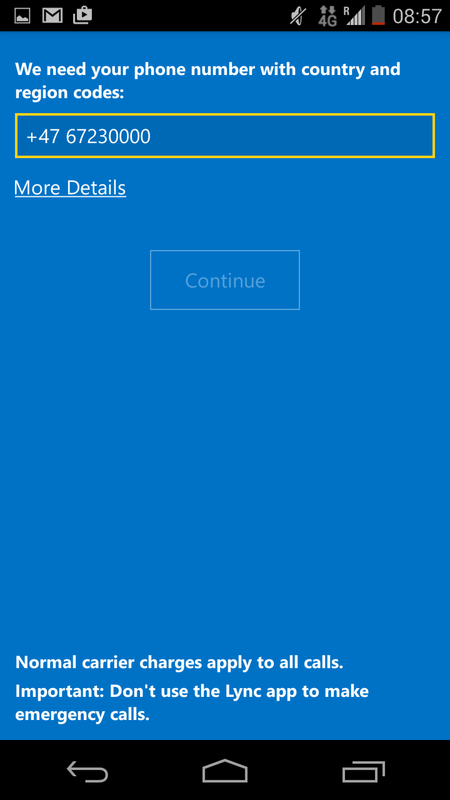 Find and install Skype for Business on Play Store. Then open it. firstname.lastname@nmbu.no, your password. 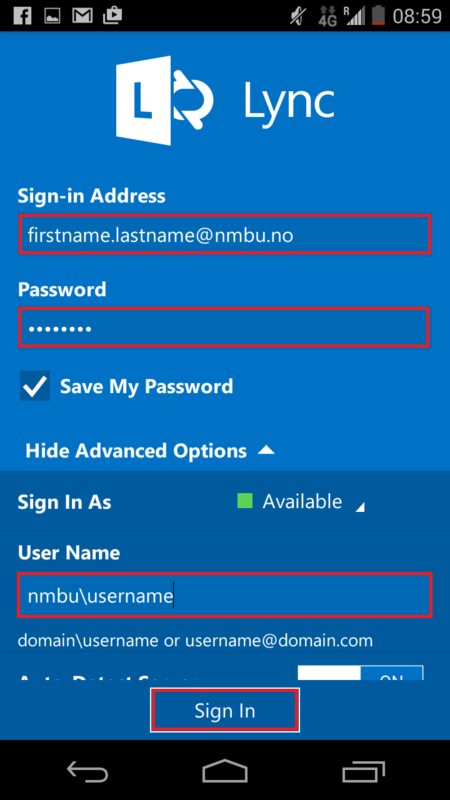 Choose “Show Advanced Options” and type nmbu\username under “User Name”, then “Sign In”. Then enter your devices phonenumber, then “Continue”. 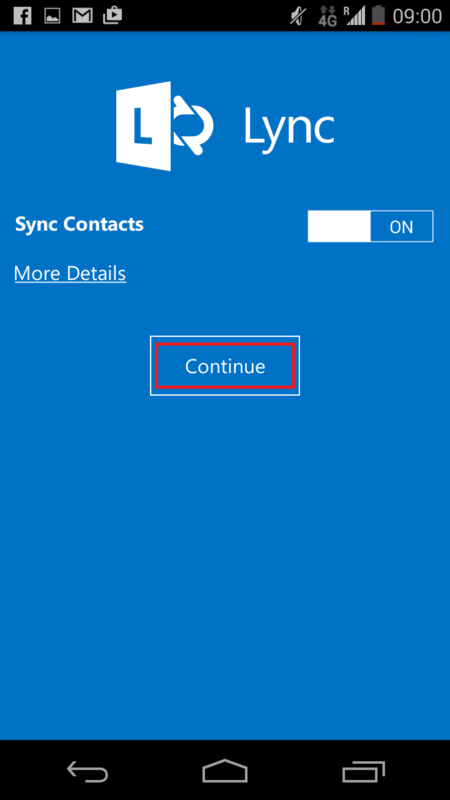 Set “Sync Contacts” to “On”, then continue. If you are not connected to wifi you might experience bad quality on conversations. 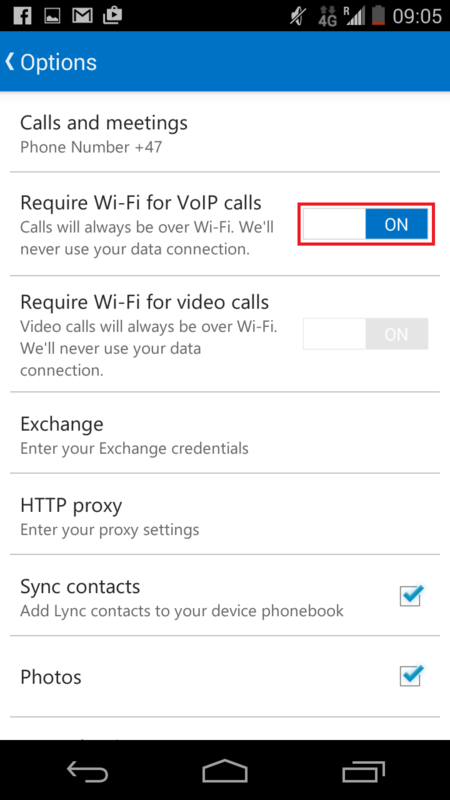 If you wish only to accept calls when you are connected to wifi then go to “Options” to choose this. Explained in the pictures below. 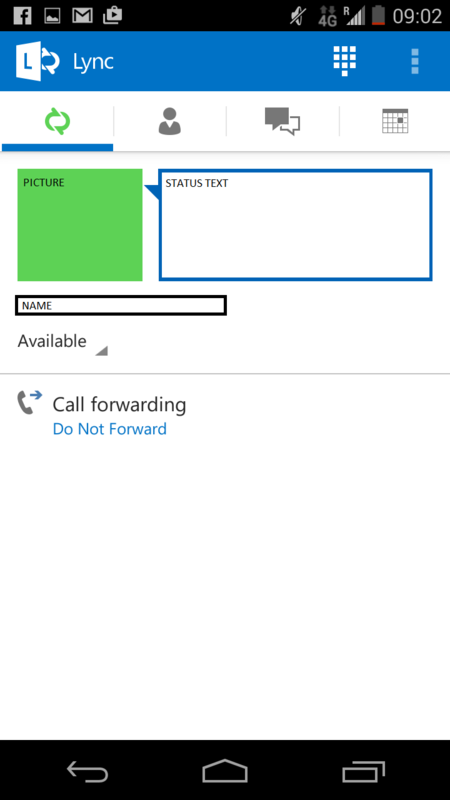 Lync is becoming Skype for Business (S4B). 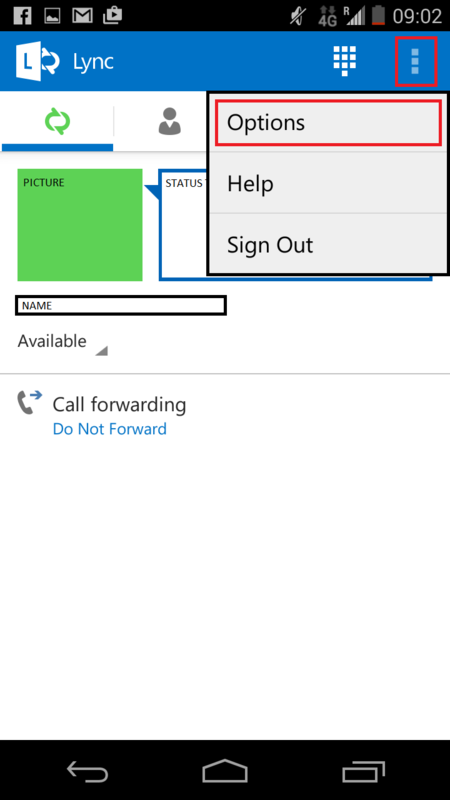 This entry was posted in IT-documentation and tagged Android, Employee, Lync, skype, Skype for Business on January 19, 2015 by Anders-Budde erichsen.